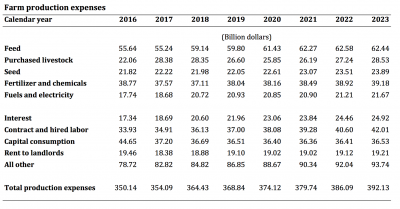 On Tuesday, the Food and Agricultural Policy Research Institute (FAPRI) at the University of Missouri released its Baseline Update for U.S. Farm Income and the Farm Balance Sheet. Today’s update includes brief highlights from the baseline update. 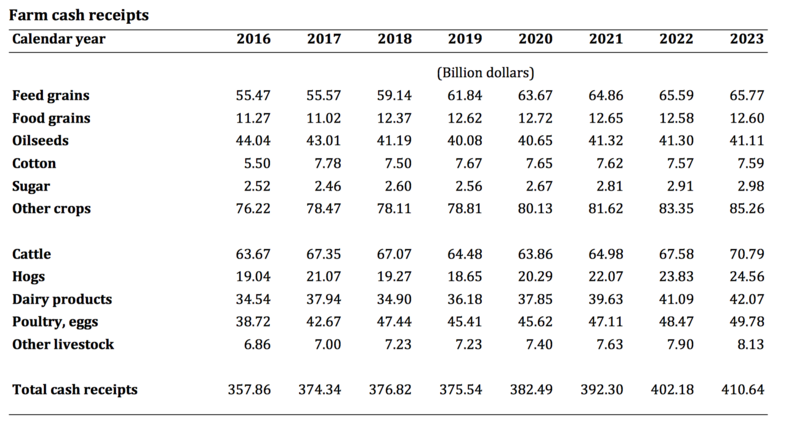 For background, the baseline update explained that, “The farm income projections incorporate the initial round of MFP payments, announced on August 27, 2018, that provide compensation for losses incurred because of trade disputes. 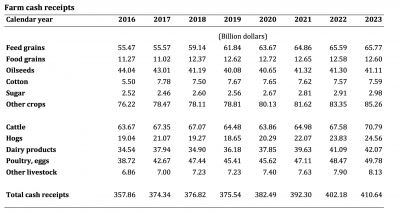 We assume $4.0 billion in MFP payments will be made in calendar year 2018 and another $0.7 billion in 2019. No additional MFP payments are assumed, even though it is possible that a second round will be announced later this year. Farm Cash Receipts. “Baseline Update for U.S. Farm Income and the Farm Balance Sheet.” FAPRI (September 18, 2018). Farm Production Expenses. 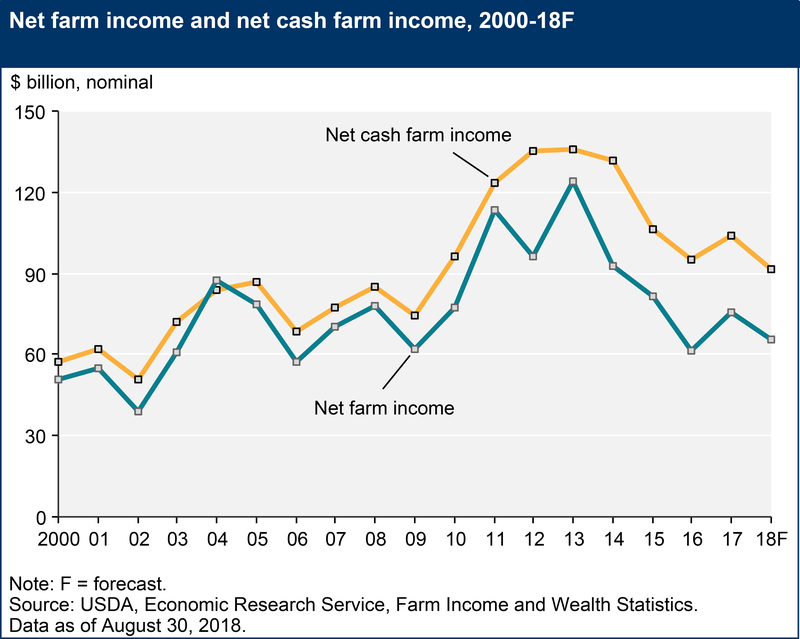 “Baseline Update for U.S. Farm Income and the Farm Balance Sheet.” FAPRI (September 18, 2018). The MFP payments help push 2018 direct government payments to the highest levels since 2006. With no additional MFP payments assumed, total payments decline sharply in 2019. Land Rental Rates and Real Estate Values. 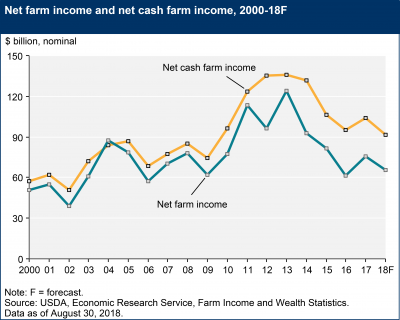 “Baseline Update for U.S. Farm Income and the Farm Balance Sheet.” FAPRI (September 18, 2018). Recall that the USDA’s Economic Research Service (ERS) released its latest U.S. farm income projections back in August. 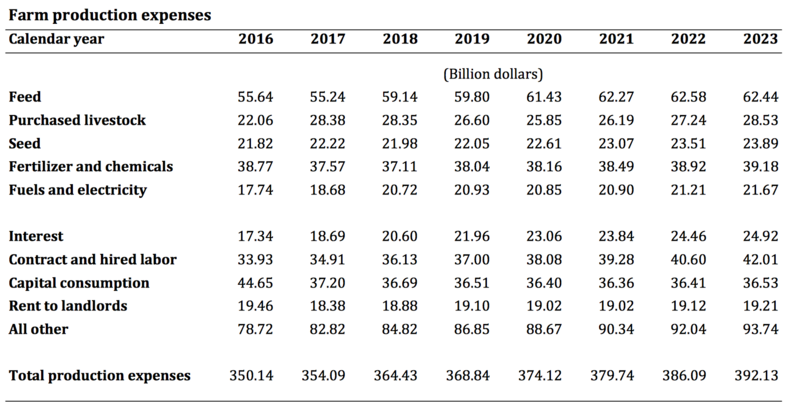 “2018 Farm Sector Income Forecast,” August 30, 2018 (USDA-ERS).